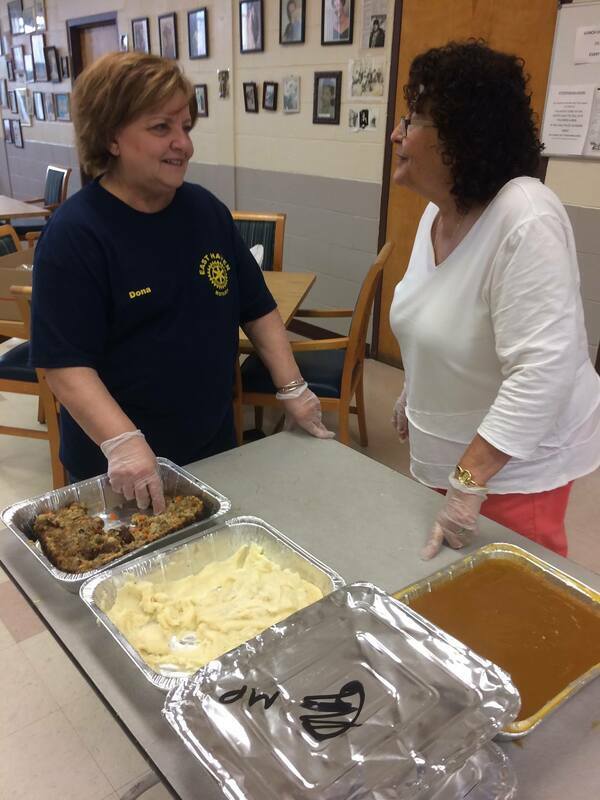 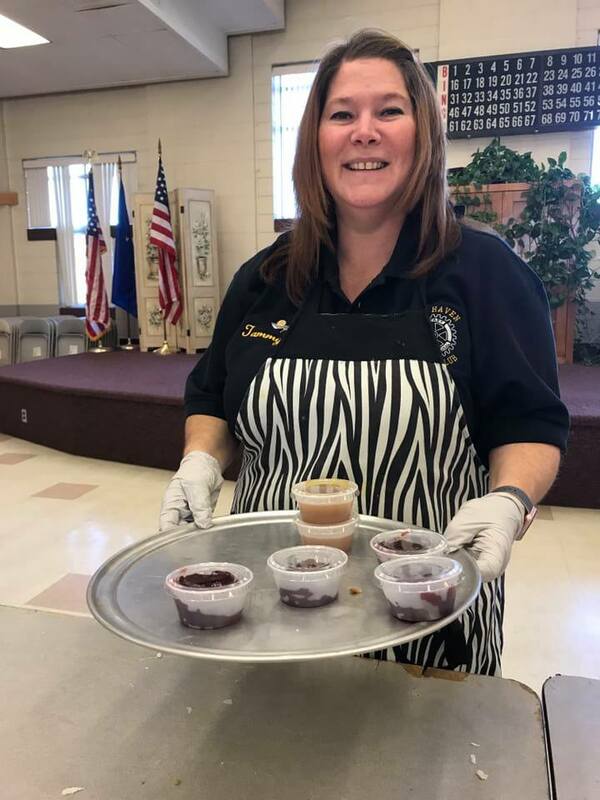 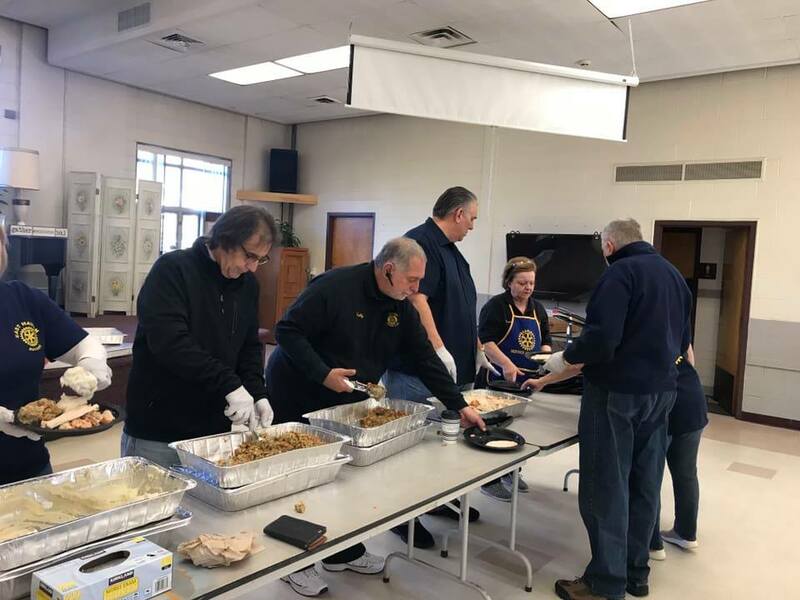 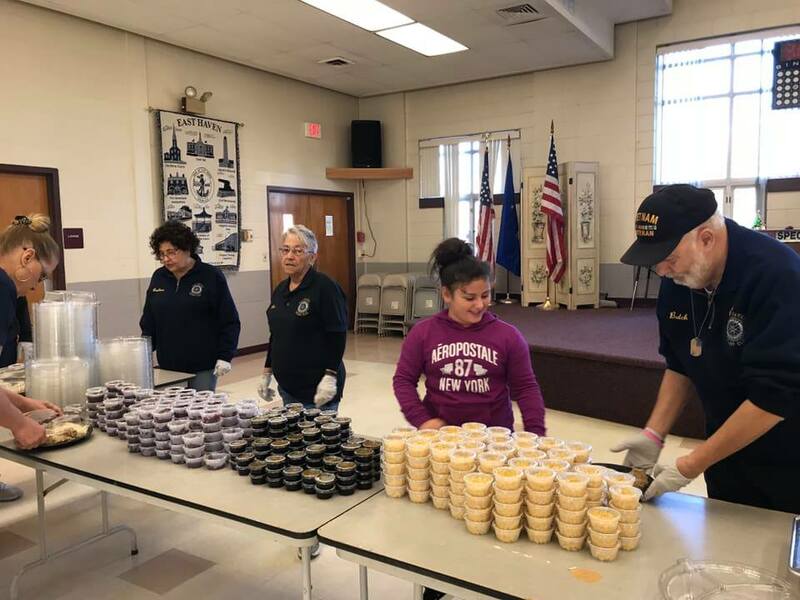 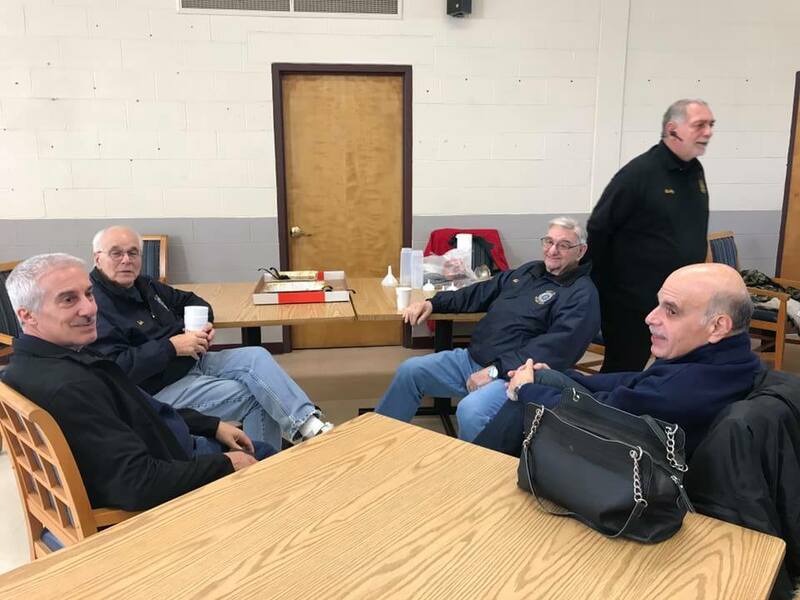 For twelve consecutive years, The East Haven Rotary Club has provided East Haven residents a FREE full course Thanksgiving Dinner available for pickup or delivery at the East Haven Senior Center on Thanksgiving Day. 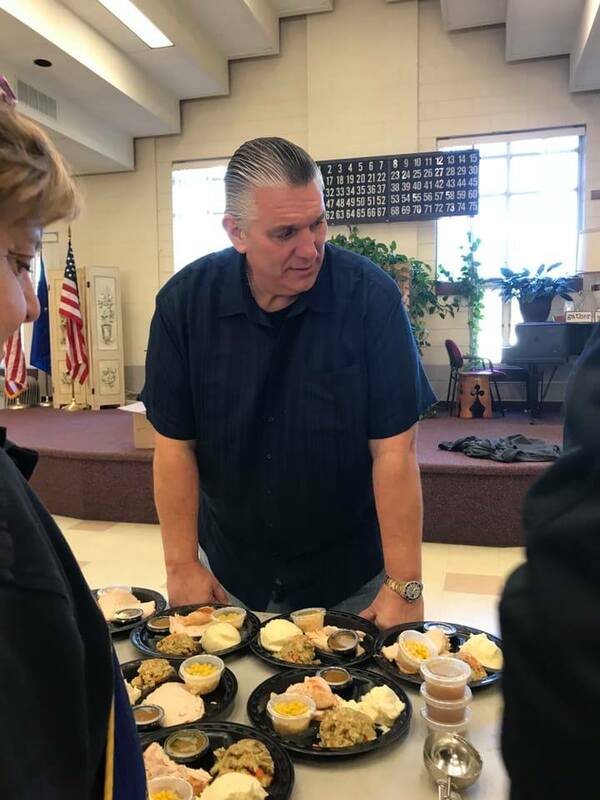 In addition to a turkey dinners, the Rotary provides all the traditional holiday “fixings” including a dessert. 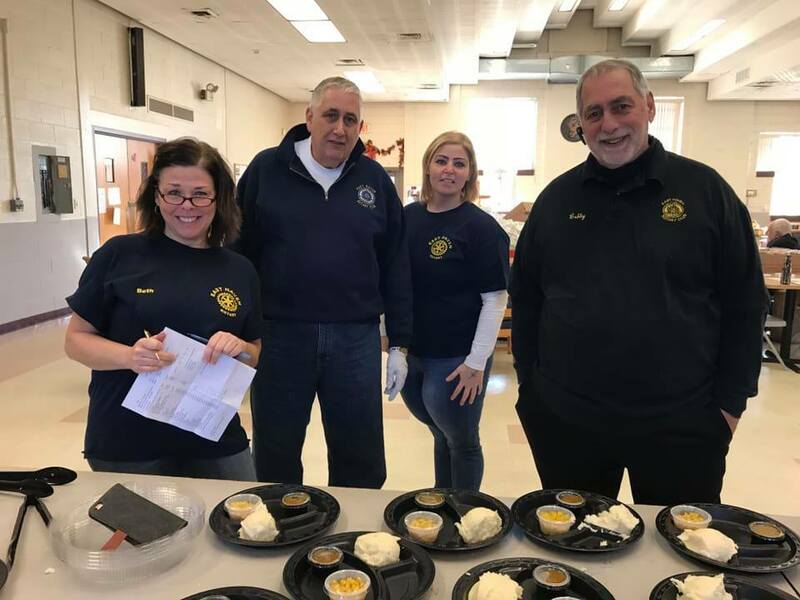 East Haven Rotarians package the dinners for takeout and arrangements are made to pick them up or even have them delivered, if transportation is not available. 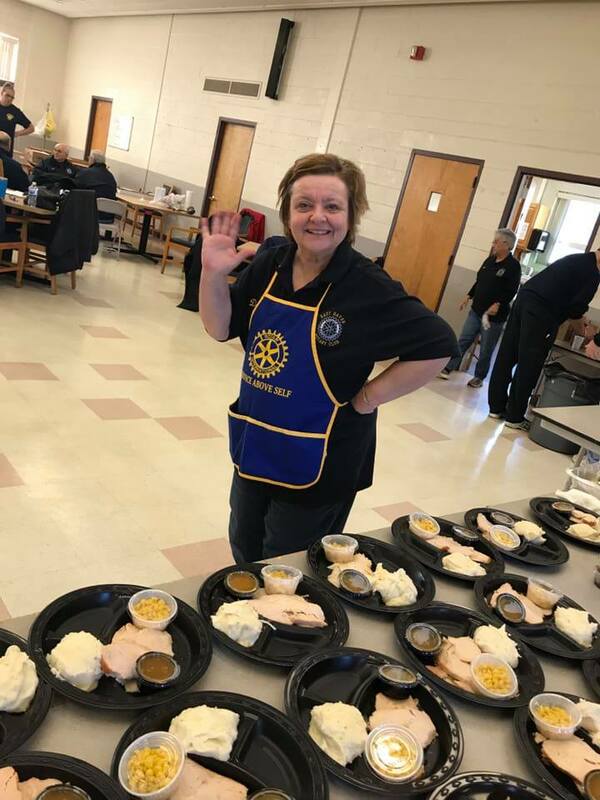 With the continuing economic climate, many more families may find themselves in need of some type of assistance and the Rotary encourages residents to feel comfortable to participate in this program. 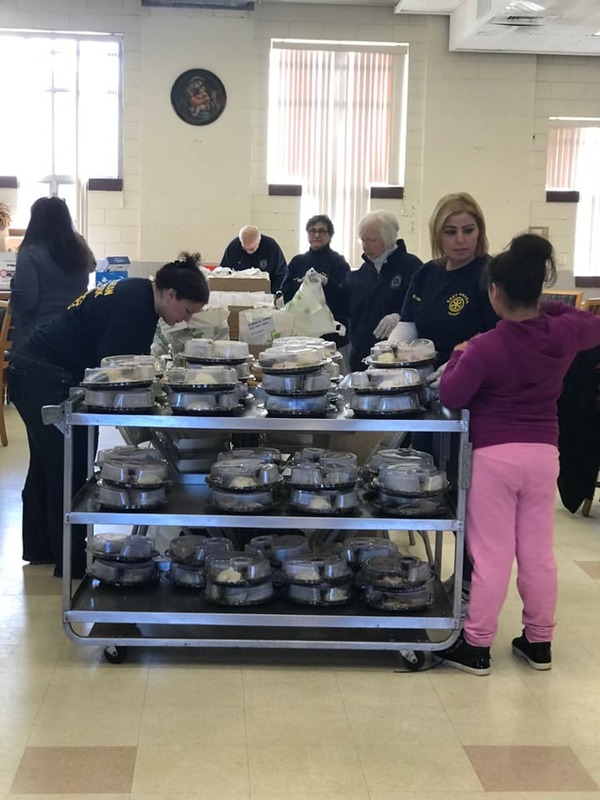 Last year the Rotary provided more dinners than ever before. 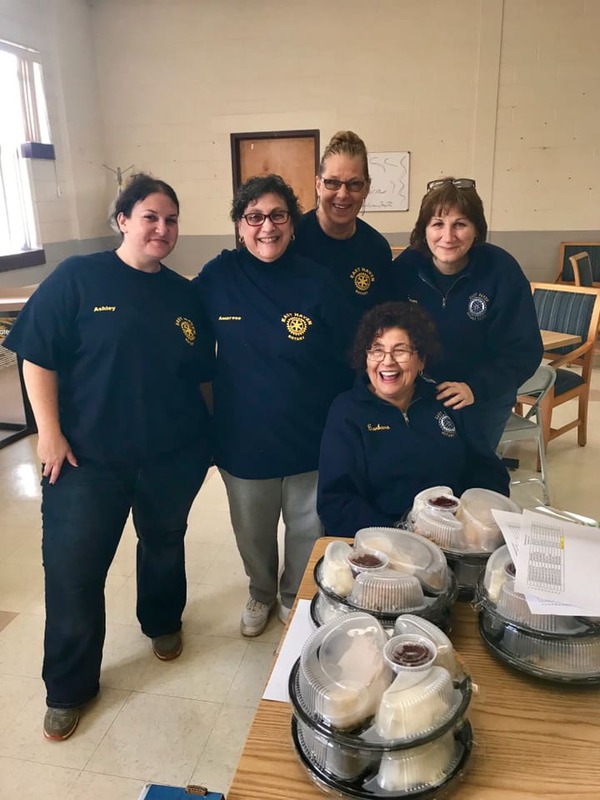 With the increasing needs of the community, monetary donations are always greatly appreciate to allow our club to continue this important service to our community.. 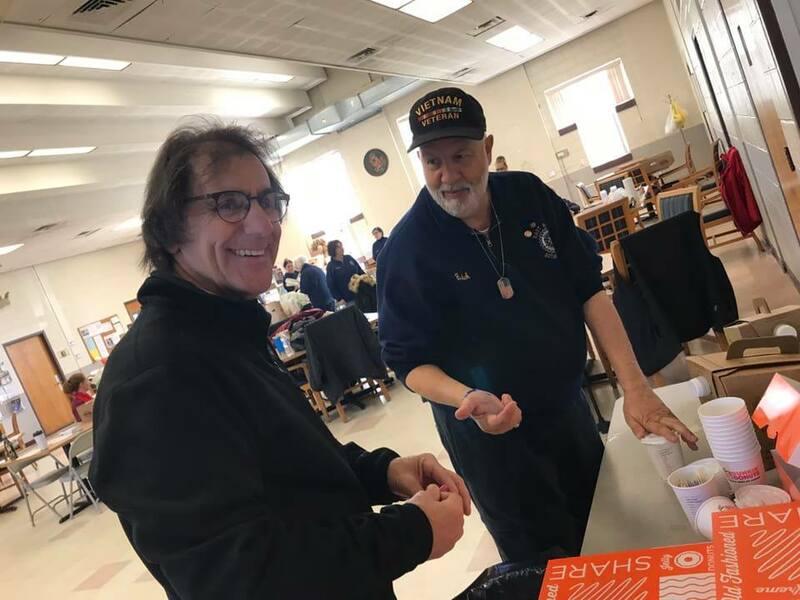 Anyone wishing to donate may also click the button below or mail checks payable to East Haven Rotary Club, Inc. “Thanksgiving Donation” c/o Carl Ruggiero, 12 Oak Hill Drive, East Haven, CT 06513. 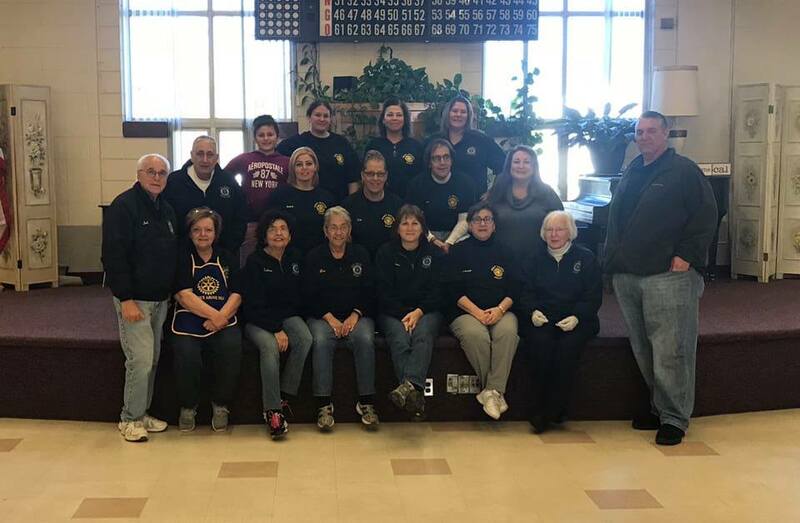 ​The East Haven Rotary Club is an approved non-profit 501c3 corporation.